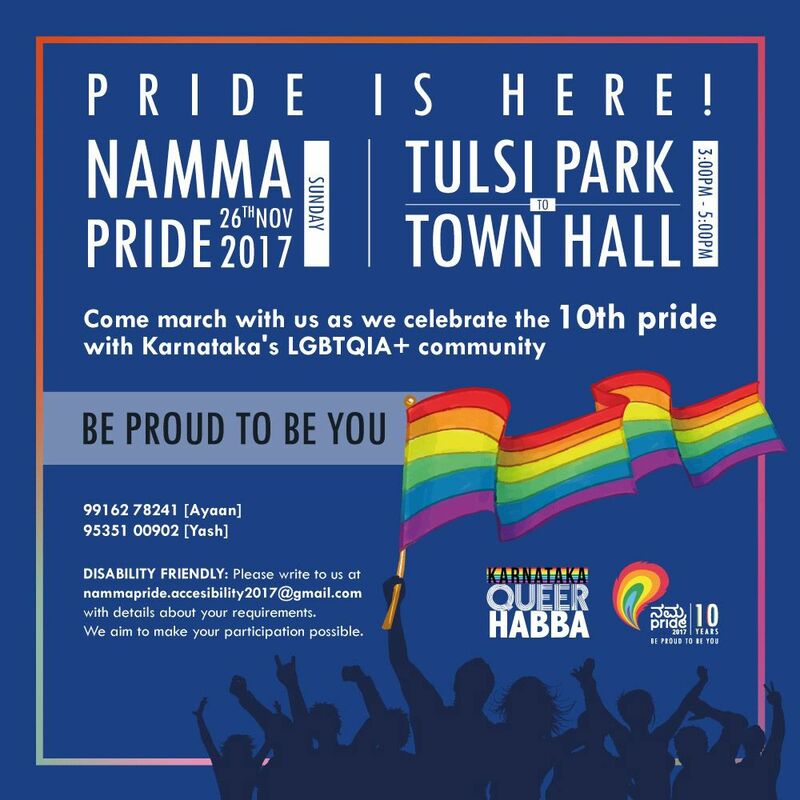 Bengaluru Pride walk 2017, Namma Pride March details, contact numbers. In a recent National Capital has celebrated it's 10th Pride walk and spread the colors of Rainbow on it's way. 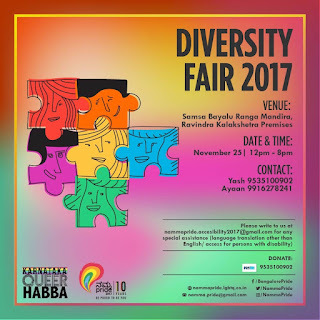 Now it is time to spread the Rainbow colors of Love on roads of India's IT capital city Bengaluru on 26th November 2017. 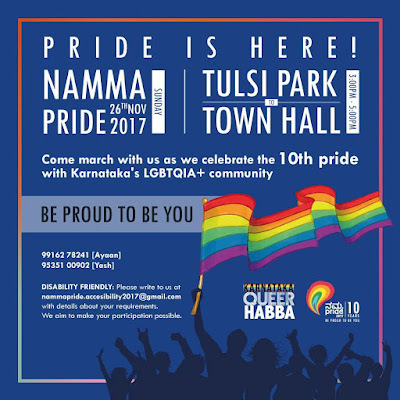 Bangalore or Bengaluru will witness it's 10th NAMMA PRIDE walk 2017. 26th November 2017: Starting at sharp 3PM from TULSI PARK and will reach TOWN HALL in between 5PM to 6PM. 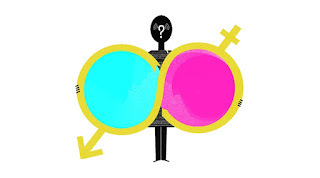 Cultural programme will be held after Pride March, where number of Transgender community will perform their talent like dancing and more, apart from transgender performance there will be many things to see in cultural programme, which keep going till 8PM. 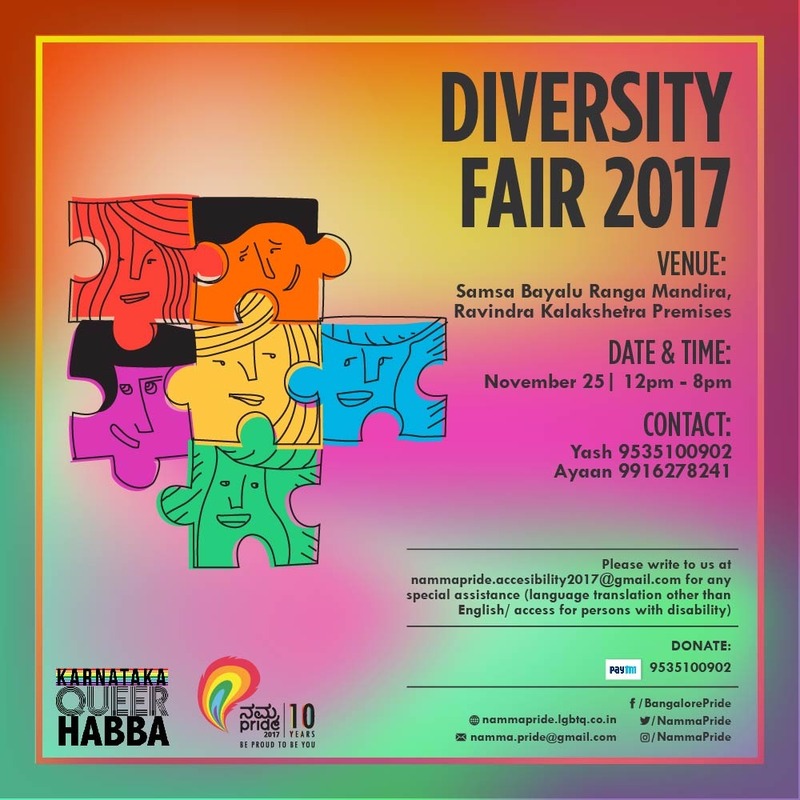 After cultural programme there will be post pride party, so one thing is sure, Bangalore will surely going to be remember in rainbow colors forever after 26th November. Still having doubts and/or clarification, please feel free to call (in day time only) to talk with AYAAN @ +91 991 627 8241 OR YASH @ +91 953 510 0902. All the details has been capture from one of the team member of NAMMA PRIDE. NIRVAIR.IN is not responsible for any kind of mis-match of above stated schedule. Image courtesy from NAMMA PRIDE FB page.